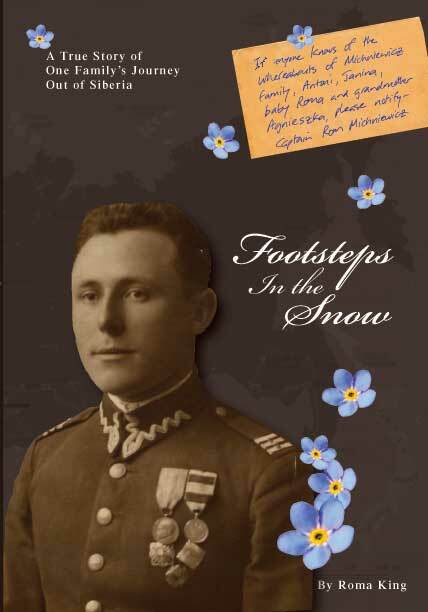 This book is written in memory of my father, Romuald "Rom" Michniewicz. It is a love story and the true account of Rom's amazing quest to find his wife and daughter, and their daring and dangerous journey to escape from Siberia. As the Russian army swept into Poland during the early months of the Second World War, many Polish families were forcibly relocated to distant parts of Siberia in order to make way for resettlement of Polish lands by Russian nationals, and also to provide manual labor for the kolkhozy (collective farms). My mother, grandparents, and I were among the hundreds of thousands of Poles who were torn from their homes and transported to Siberia with little hope of ever again seeing their families or native land. Rom survives imprisonment by the Russians only to find that his family were among those who had disappeared. He devises an ingenious plan to find them and risks it all, undertaking a perilous journey across Siberia, to rescue his wife and child. If it were not for my father's strong faith that any obstacle is surmountable, along with his courage and initiative, we would still be living in Siberia today. Last updated 12/11/2018 Add to Favorites, Privacy, User Agreement, Site Map ©2010-18, Roma King.